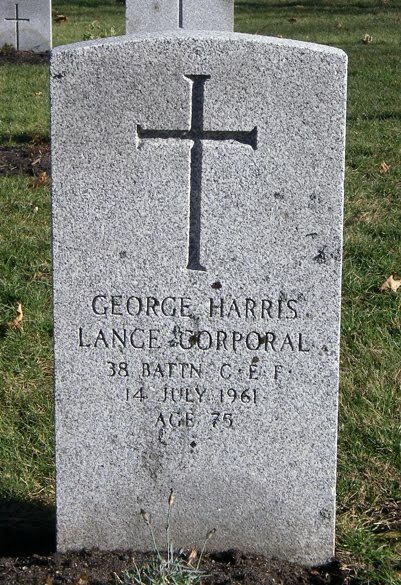 Born on 10 May 1886 in Portage du Fort, Quebec - nephew of Mrs. William Turiff, Shawville, Quebec - at the time of his enlistment in 1915: trade as lumberman, single, no current or previous military service, Church of England, height of 5 feet 3.5 inches, chest of 33 inches fully expanded, freckled complexion, grey eyes, light brown hair. 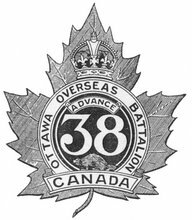 Joined the 38th Battalion, CEF, in Smiths Falls, Ontario, on 24 March 1915 (number 410303) - served with the 38th Battalion during its period of garrison duty in Bermuda - landed in France with the 38th Battalion on 13 August 1916 - invalided sick to England on 21 February 1918. Recommended for a Meritorious Service Medal but no award made - unit recommendation dated 14 December 1917: "Recommended for Meritorious Service Medal for consistent good work." 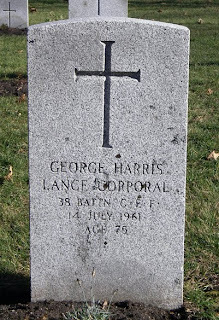 Died on 14 July 1961 - buried in Beechwood Cemetery, Ottawa, Ontario.